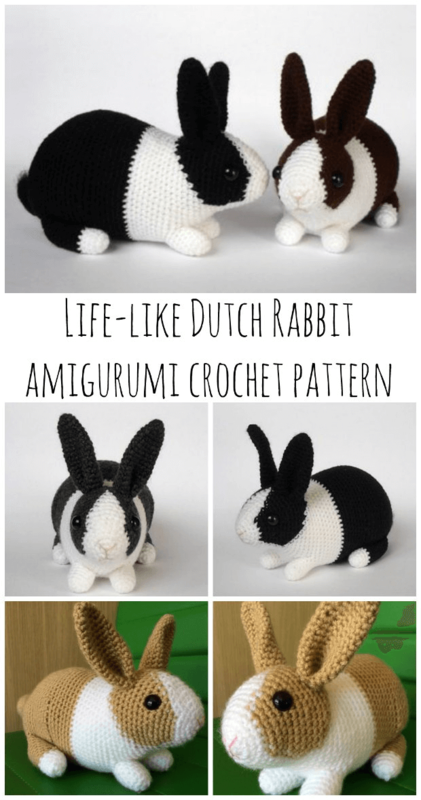 This crochet bunny amigurumi pattern will guide you, step by step, to make this realistic dutch rabbit. It will be so life like, that when you finish you will think that you got a new Dutch rabbit as a pet. 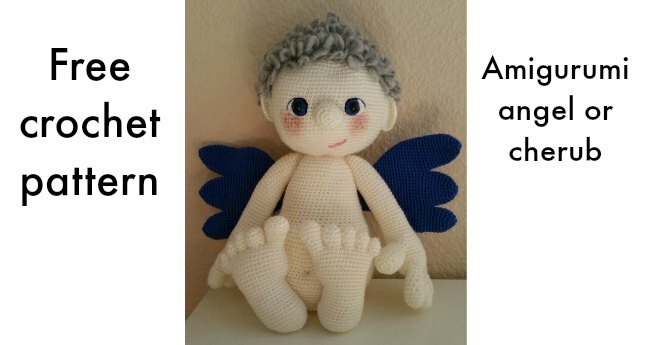 You will have more confidence in your ability to take on more amigurumi crochet projects in the future. This crochet bunny is super cute. This dutch rabbit pattern really jumped out at us this week. Usually, amigurumi is super-cute, but not necessarily realistic, so when we saw this amazing rabbit, we felt sure you would want to check it out as well. You could use any yarn weight for these bunnies as long as you choose a fitting hook, it will only influence the finished size. The example rabbits were made with DK yarn and 3mm hook, they are about 8″ long and 6″ tall to the tip of the ears. The pattern is 9 pages long with many photographs illustrating the process. It is written in English with US crochet terms. Starting with magic ring, chain, slip stitch, single crochet, single crochet increase, invisible decrease, work in front loop only. Bunnies are without doubt or question cute and fluffy. 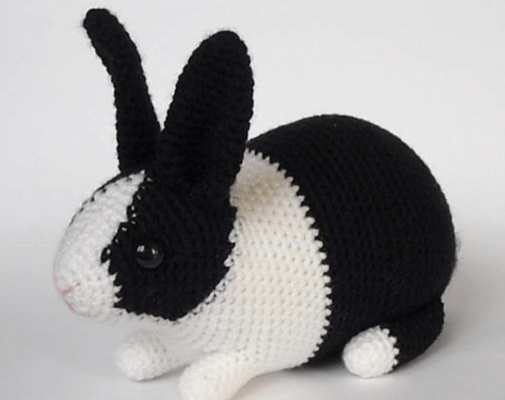 The crochet rabbit is in a similar regard cute and also an excellent addition to your household. The Dutch rabbit pattern when executed with perfection jumps to life with lifelike features. You would be forgiven for thinking that the crochet bunny is alive or resembles a stuffed lifelike animal. Amigurumi crochet patterns are aesthetically pleasing but not always as realistic as you would hope. 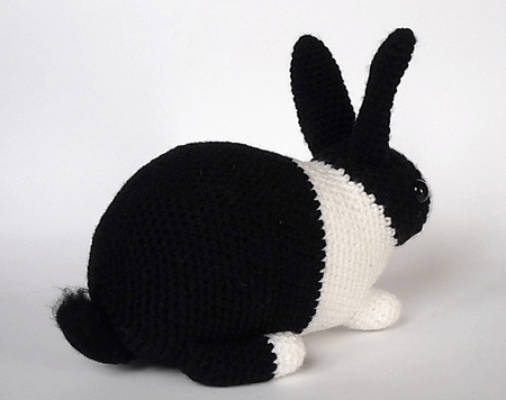 With this Dutch crochet bunny, however, you will be amazed at how alive the rabbit looks. You can use a yarn weight of your preference for this amigurumi bunny as long as you pick a fitting hook. The hook size as in most other cases will influence the size of the finished product. 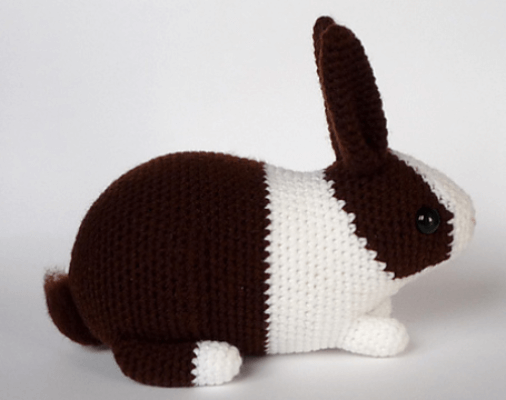 A typical Dutch rabbit pattern is made with DK yarn and a 3mm Aluminium hook, and they are usually about 8″ long nose to tail and 6″ tall to the tip of the ears. Getting started on the crochet amigurumi bunny project requires commencing with a magic ring, single crochet increase, chain slip stitch, single crochet, invisible decrease, work in front loop only. Several color changes are also necessary to make the standard Dutch markings on the crochet bunny. 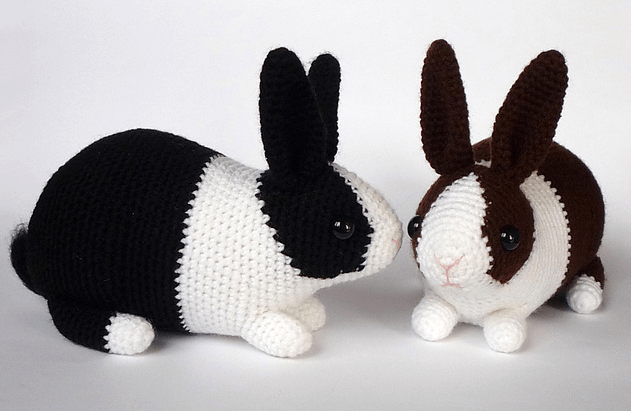 When coupled with realistic markings and shaping, the Dutch crochet bunny is transformed into an advanced level amigurumi project worth gracing your house. Despite requiring an advanced level of knowledge in crocheting techniques, a finished Dutch rabbit will be well worth the effort. For some reason, bunnies are a celebrated symbol of good cheer and holiday wishes across the globe. They are a favorite to both the young and adults alike. As the holiday season draws nearer, it brings along with it two of civilized society’s greatest pleasures; crocheted accessories and stuffed toys. A crochet bunny is the perfect embodiment of an accessory item that combines the best of both joys. Dutch rabbits are easily recognizable by their characteristic color patterns and were once the most popular breed of pets, outperforming canines and felines. Dwarf rabbits eventually overtook them as the preferred pet of choice. They, however, remain on the list of top ten most preferred pets. The obsession with crocheted bunnies is therefore only justifiable on such grounds. The process of crafting a Dutch rabbit entails crocheting the outer body in which the stuffing will be held. The stuffing helps to give your amigurumi bunny its shape. There are a lot of stuffed Dutch rabbits for sale out there. These, however, don’t necessarily come cheap. This predicament necessitates the need to craft your own handmade crochet bunnies. 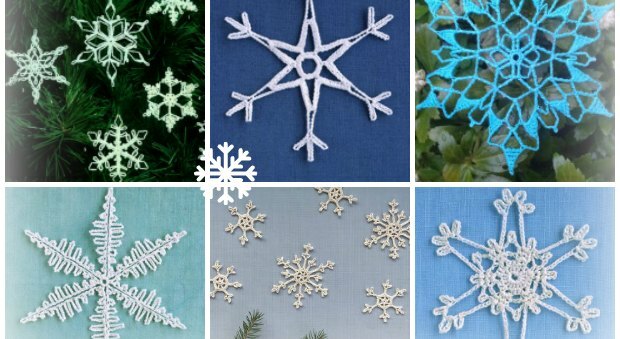 Other than significantly cutting back on costs, you get to experience the satisfaction of crocheting a masterpiece and also a chance to practice your stitches. You can choose between different color schemes such as black and white, roan and white or a single roan color. The eyes and nose add to the finished projects detail aesthetics and make the whole thing look life-like. A few might argue that having a real Dutch rabbit is way better. Well, considering the bills and the risks and overall responsibility that comes with owning a pet, getting a crochet bunny is way better. In summary, investing your time and energy in a Crochet bunny project is probably the best idea you will have in the remaining days to the official start of the festive period. Besides being the perfect ornament. The Dutch crochet bunny will come in handy in numerous times of the year such as Easter and Christmas. Easter festivities certainly hit close to home. 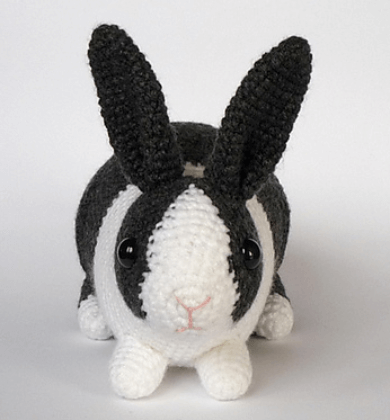 With this amigurumi Dutch rabbit, you have to worry less about Easter bunnies. 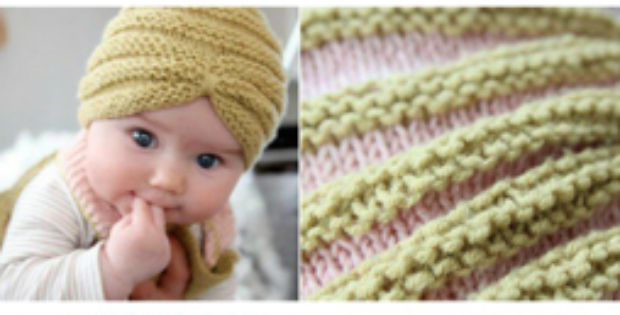 The charm and appeal of the crochet bunny cuts across all age brackets; young and old. For your troubles, you can settle on assembling several pieces and offering them up for sale. Hi Jacqueline. The Dutch Rabbit is a paid pattern by Kati Gálusz. It doesn’t appear anywhere for free. 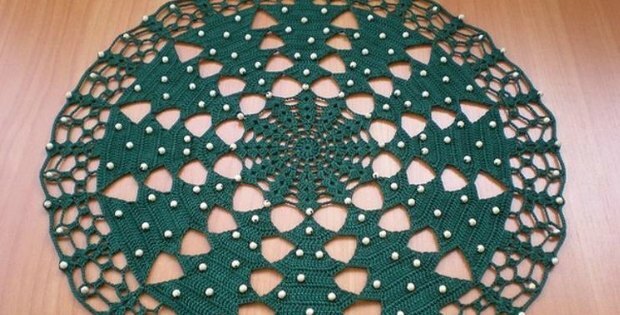 I don’t believe that we have advertised it as a free pattern, can you please point me in the direction of where you saw this?